One of our top selling strains of cannabis seeds is White Widow. Not only is it easy to grow but it has a great yield per plant and it is one of the strongest strains you can buy. It is a huge success all over the world. If you plan to use it regularly, it makes sense to buy White Widow marijuana seeds and grow it yourself. You will save money and our seeds offer you the best quality for a very reasonable price. The smell from White Widow seeds are like a strong spice. The taste is pine and citrus but also very smooth. The high is going to come on quickly and be very powerful. Yet it won’t leave you couch locked so you can use it during the day. With White Widow, you can have more energy and more creativity. This is a great option for those who have social anxiety or who suffer from chronic fatigue. Since the early 1990’s when White Widow cannabis seeds were introduced, it has been a success. It has won many awards over the years including the High Times Cannabis Cup. 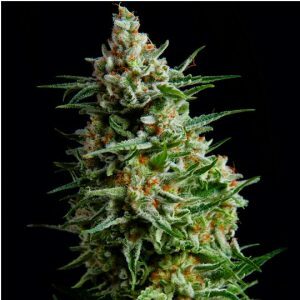 It is often a strain used along but also a parent strain in numerous hybrids we offer. We have more than 100 cannabis seeds so take a look around and see what else peaks your interest. You can buy our White Widow and feel confident in overall quality because we only work with the very best breeders from Brazil and India. Our seeds aren’t knockoffs but linked to the original strain. 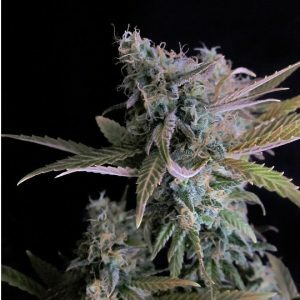 White Widow is often referenced as the Queen of Marijuana seeds, and that is quite an honor when you think about all of the great strains out there. The high THC level makes it a great option to reduce pain and help with brain focus. You will feel relaxed but your mood will also improve. It is often used by those with symptoms of depression to help them feel better without prescription medications. These cannabis seeds aren’t hard to grow and they will be ready to harvest in approximately 8 or 9 weeks. Our staff will take care to ensure your White Widow cannabis seeds are securely packed, and ensure no one will know what is in that delivery. You will be able to have them within 14 business days, and we ship to locations all over the world! We also have excellent customer service so if you need help with anything, just let us know. We only give you the chance to buy White Widow marijuana seeds that are proven to be the best quality. You have to be careful as not all seed banks out there can say the same thing about what they offer. We also keep prices low as we work directly with breeders. As a result, we don’t charge our customers to cover the costs of a middleman in the mix. Your White Widow marijuana seeds are going to offer plants that are medium height. They are going to be very strong and they grow easily. They aren’t vulnerable to common problems such as disease, mold, or pests. The buds are going to be fully covered in the resin with a yield per plant you will be very pleased with. Our grower’s guide offers you all of the details you need to make your plants thrive from the cannabis seeds. You can also contact us if you have questions during growing or harvesting the White Widow seeds. One of the older but still extremely popular types of marijuana is White Widow (ww). It is the hybrid of parents WW X and Big Bud. It is a 60% Indica and 40% Sativa strain. This plants features very large leave, mint green in color. The nugs have an olive green color to them. When these plants thrive, the resin they produce is very thick; it looks like someone has put frosting on the leaves! How much THC does White Widow Marijuana Offer? The THC found in these marijuana plants ranges from 16% to 23%. The quality will depend on where you buy it or the seeds you use to grow your own plants. These seeds can be very expensive, so when you have a great crop, it is wise to harvest your own seeds for future crops to be grown from. 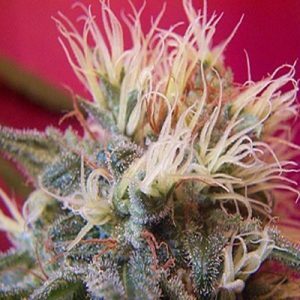 The buzz offered with this strain of cannabis is very powerful and it will hit you almost immediately. The mind is going to feel calm and they body will be relaxed. Most users feel a sedated state so you shouldn’t take it when you need to drive or perform activities. What does White Widow Taste and Smell like? Not everyone is a fan of the powerful scent these plants deliver. It is a mix of floral with pepper. It doesn’t suite those with sensory concerns very well. The taste it offers is smooth and sweet. There are those that really love it and those that just can’t get beyond the smell enough to enjoy the taste it offers. What are Common uses for White Widow Marijuana Seeds? These marijuana plants are a simple plant to grow, and it doesn’t take up too much time to do so. The plants are about 6 feet tall when it is time to harvest. Your yield per plant will be higher when you grow them indoors, but you can do well with them outside too. Planting outdoors needs to be done in September and October with some cooler temperatures. It takes about 8 weeks for them to be ready to harvest indoors and about 10 weeks outside.